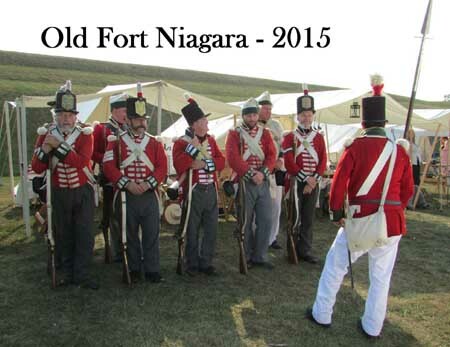 Thanks to Denise Lundgren and the Campfollower-cam we have pictures from the weekend at Old Fort Niagara. Old Fort Niagara is in Lewiston New York at the mouth of the Niagara River, where it flows into Lake Ontario. It has been a strategic location since it was originally constructed by the French in the 1700s. There is an old saying about saving the best to the end! With the season almost over, we are just back from one of our favourite events and site! This year’s battle scenarios were inventive, well thought out and expertly executed! Although the weather had looked like it would be a problem, the rain held off for the battles and we came home with dry canvas. 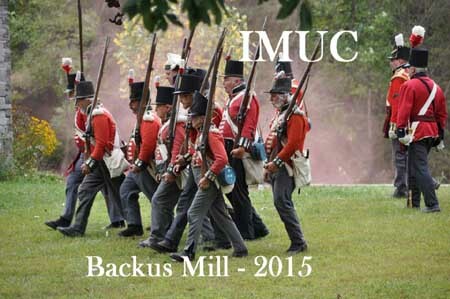 The Incorporated Militia would like to thank Robin De Cloet, The Norfolk Militia and the staff of Backus Mill Conservation Area for hosting us again! 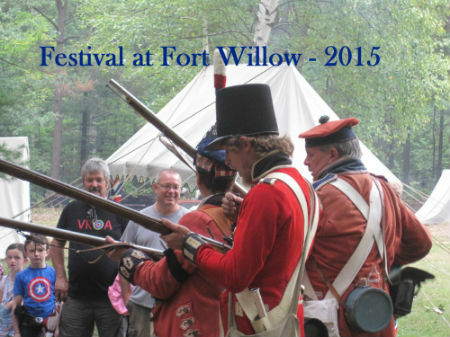 Members of the Glengarry Light Infantry, The Royal Newfoundland Regiment and The incorporated Militia of Upper Canada are just back from 3 days at The Festival at Fort Willow. On Friday over 450 local grade 7 students picked up their 1812 Passports and took part in the many drills and displays at the fort. Naval equipment, a gun crew, rope and candle making, militia drill, Native traditions and lore, cooking demonstrations, and a dragoon cavalry presence added to the excitement at the fort! On Saturday, we welcomed the public to participate as well! We are a little late posting but the pictures have just become available! 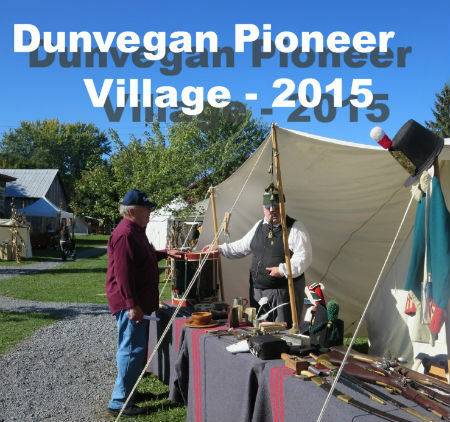 On the last weekend of September several members were able to set up at the Dunvegan Pioneer Village 1812 event. Our travelling history display again delighted the local residents and school groups. Well done all! Pictures from Dunvegan are courtesy of Doreen & Barry!.